A 31-YEAR-OLD man died on the spot after being run over by a City Link company bus along the Gweru-Bulawayo Road last week, police confirmed. 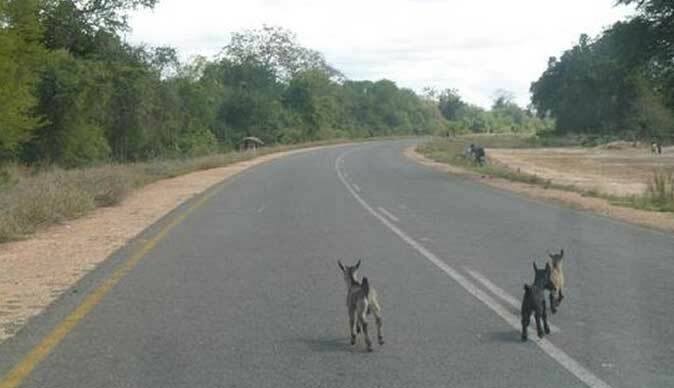 Matabeleland North police spokesperson, Inspector Siphiwe Makonese told Southern Eye the incident occurred around 7.45pm at the 108km peg along the Gweru-Bulawayo Road last Wednesday. “The City Link bus was being driven by Sabelo Ndlovu (43), while the now deceased has been identified as Stanford Mandikona (31) residing at Chitando Mandikona’s homestead under chief Nyakunhuwa at Zaka in Masvingo,” she said. Makonese said upon seeing the two, Ndlovu then flashed the lights in an effort to alert them, but Mandikona panicked and rushed into the middle of the road, leading to him being hit by the bus. A report was made to Mbembesi traffic police who attended the scene. The body of the deceased was taken to United Bulawayo Hospitals where it awaits post mortem. Makonese said investigations into the incident were underway.